Like many of you, we're big fans of small world play & anything miniature so you can imagine how much excitement has been had with this mini matchbox Nativity. 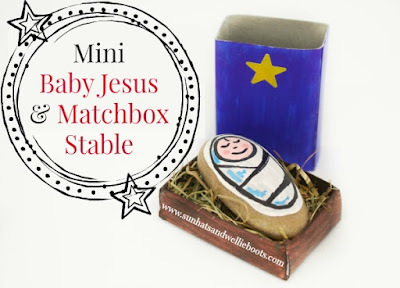 It's a perfect craft if you're exploring the Nativity story, & just the right size for kids to hold in their hands or pop into a pocket or bag. 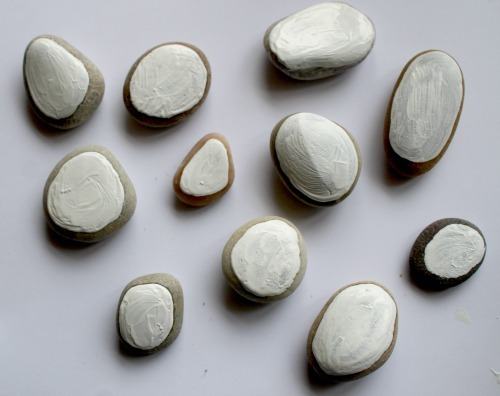 We started by painting some rocks that were small enough to fit inside a matchbox with a white acrylic paint, this gave us a neat light base to draw on. 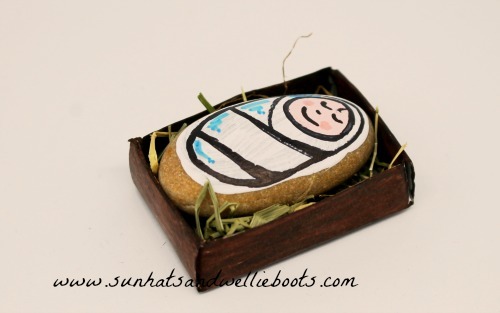 Inspired by these we used a selection of Sharpies to create the detail for our baby Jesus pebbles. 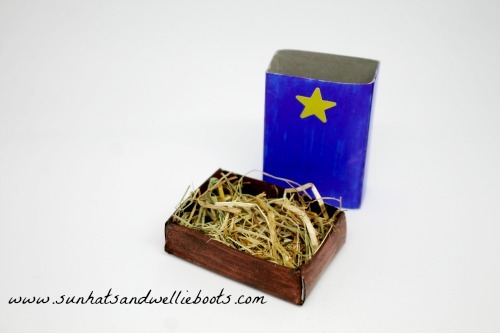 To turn our matchbox into a stable we coloured the inner section brown & added a little straw. (If you have no straw, raffia or shredded yellow paper also look great.) 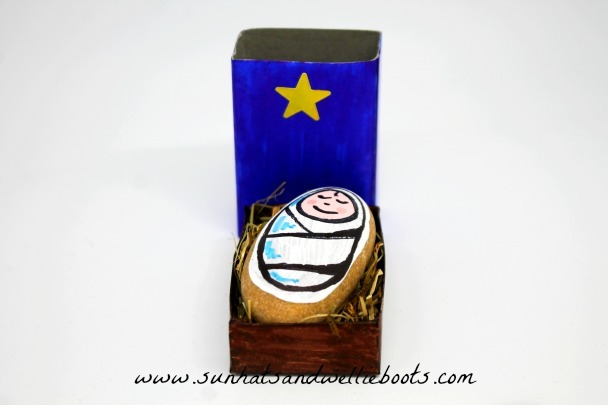 Then to create a night sky we coloured the outer box blue/black & added a Christmas star so it would shine over the crib. We added our baby Jesus & our Mini Matchbox Nativity was ready. There's something about the simplicity of this little play scene that I just love. In our house, our mini stable has had pride of place on the mantlepiece, & been lovingly carried out & about. 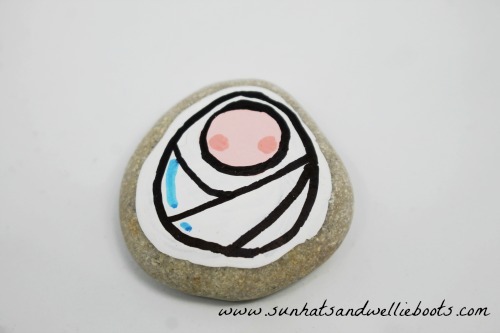 We recently made these with primary school children & they adored their creations, each taking immense care not only to paint their pebble but also to decorate their tiny stable. Each one was beautiful & unique! We suggested they might like to pass these on as gifts to friends during Advent, but I'm not sure how many will be given away as they clearly loved their creations. 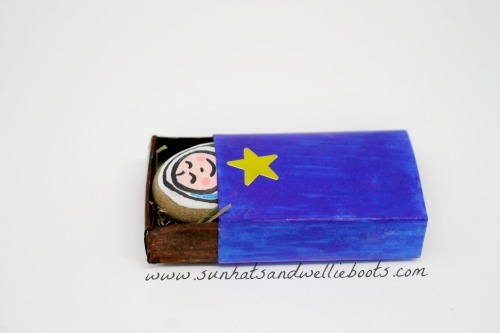 This is an ideal craft for all ages to create & would make a great activity for a Messy Church session. 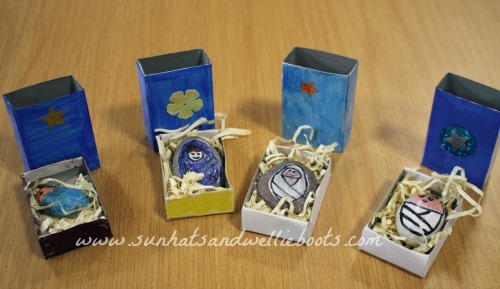 They'd also be a fun activity to make after a school Nativity & a great keepsake to treasure.